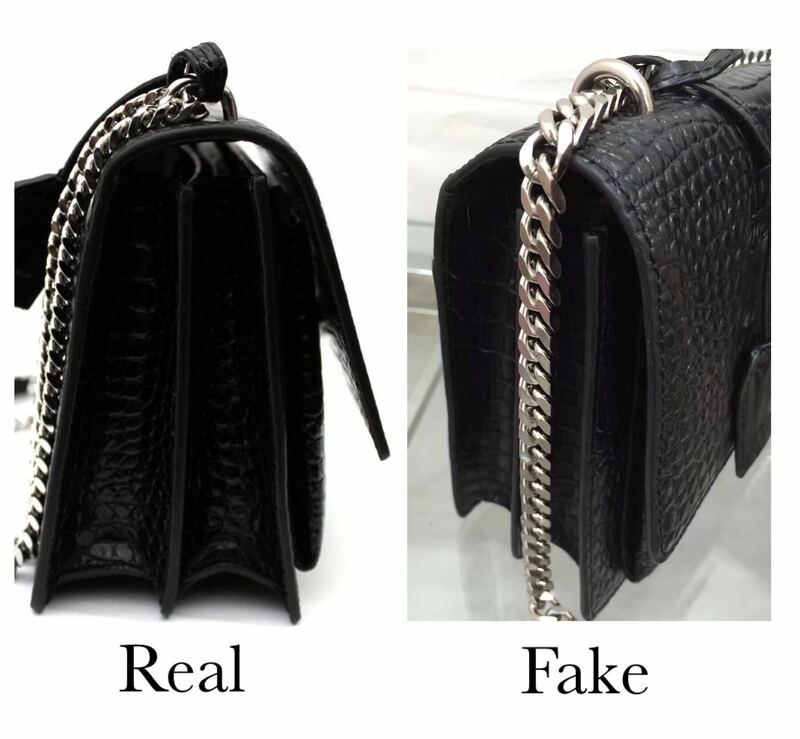 INSTAGRAM ANSWER: NUMBER 2 IS THE FAKE BAG. Hello, How are you guys? 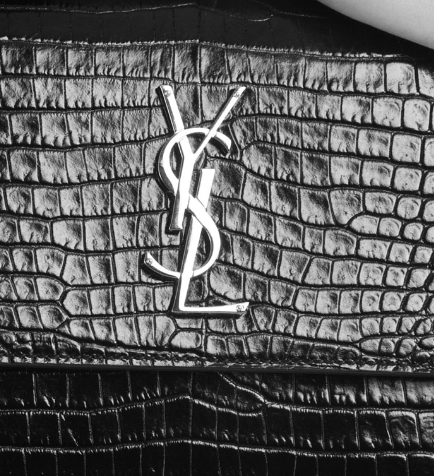 Today I’m talking about one of the most loved Saint Laurent bags: Monogramme Sunset Bag. 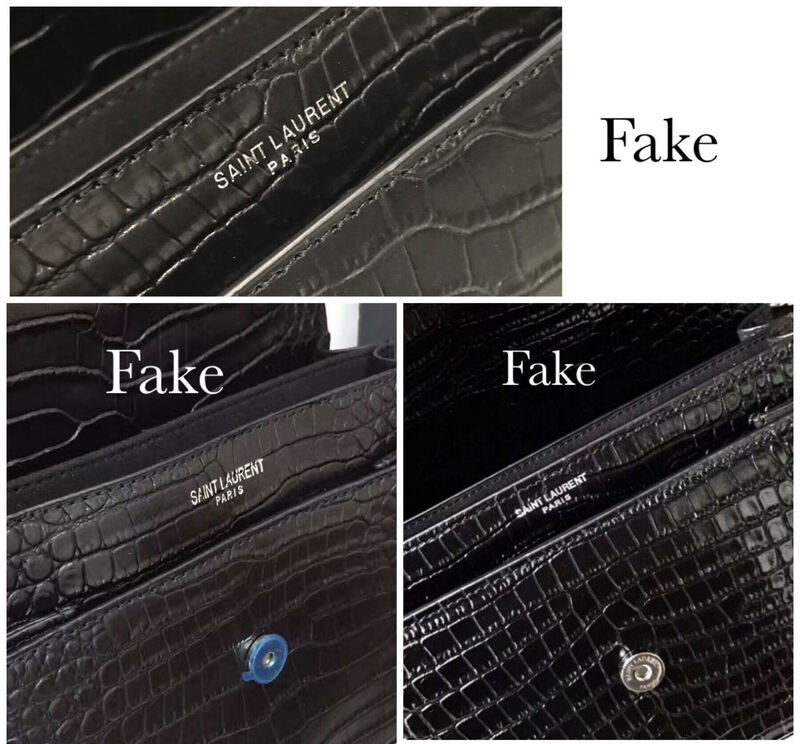 We all know and love Saint Laurent, but to make sure you are not getting scammed I will tell you some easy ways to spot the differences between a fake and a real Saint Laurent bag. 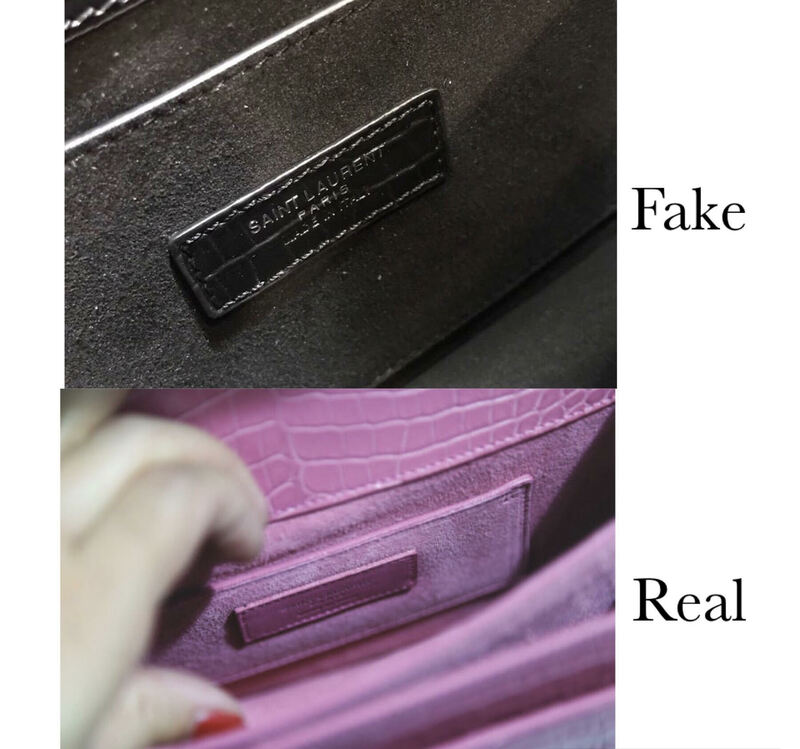 Below you can find some tips to spot the fake. 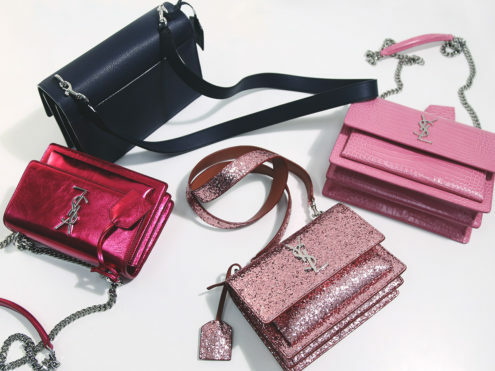 The authentic Saint Laurent bags come in an array of materials, including lambskin, metallics, suede, calfskin, and textured leathers. 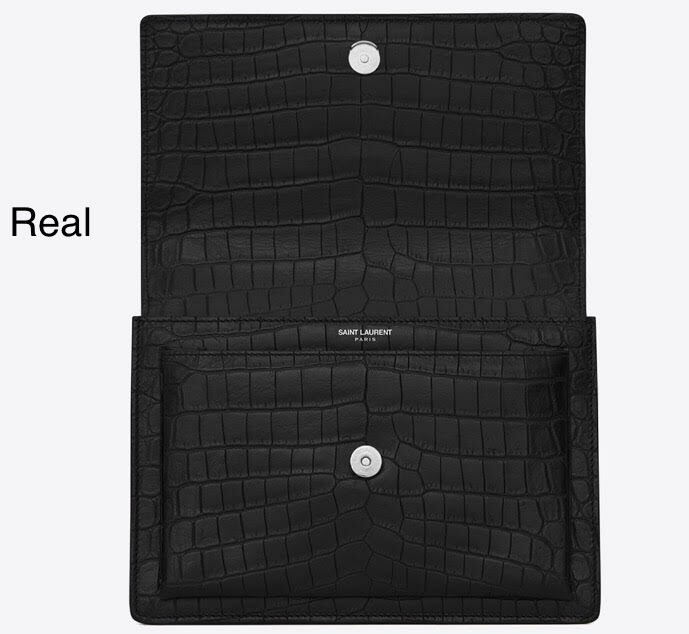 Calfskin is known to be soft yet durable. 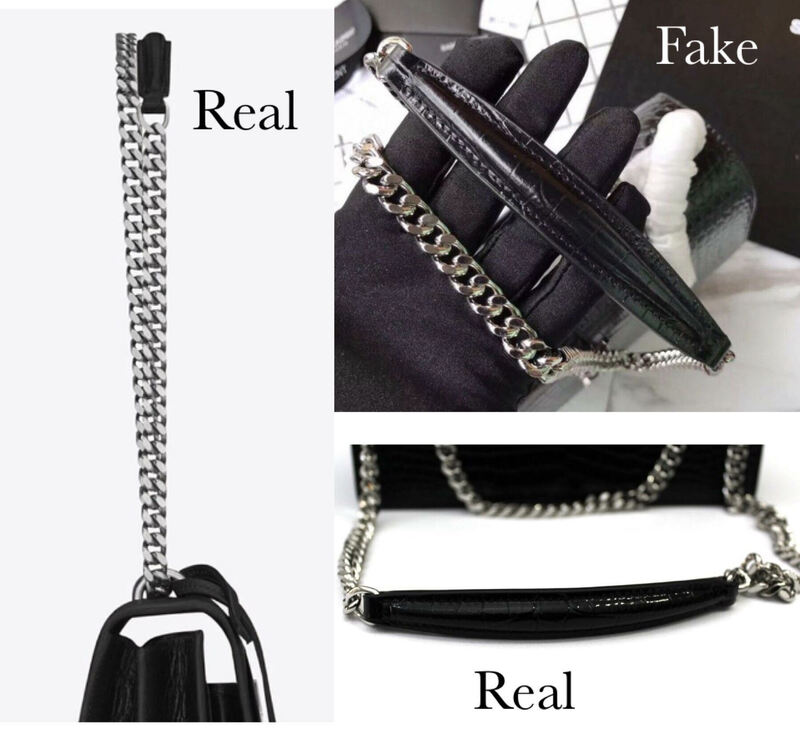 When holding a fake one, it is incredibly stiff and does not feel like genuine leather. The Y’s left arm — thicker than the right — sits beneath the S, while the right arm is above. The S then swoops behind the bottom half of the Y, overlaps the L and tucks behind it. Also, note the slope of the L; it starts wider at the top and narrows as it hits the horizontal leg. 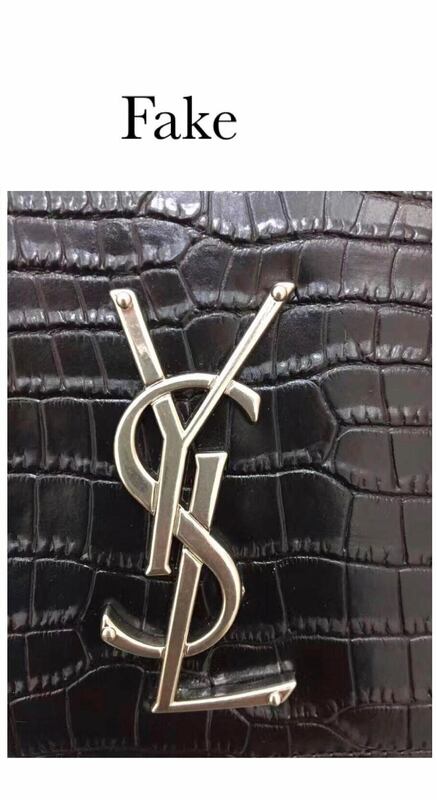 You can look at the quality of the metal YSL logo. 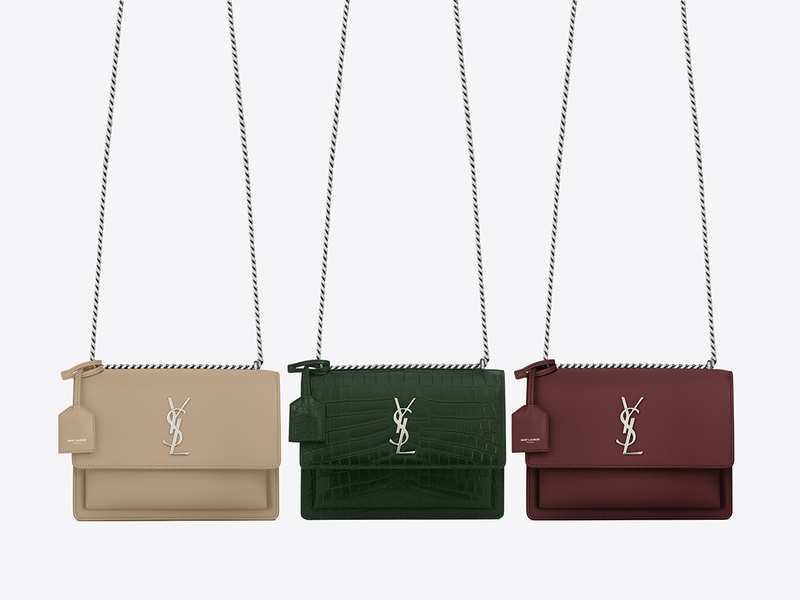 The YSL logo will also include four mock nail heads on the outlying corners. Though not functional, they should always be present. 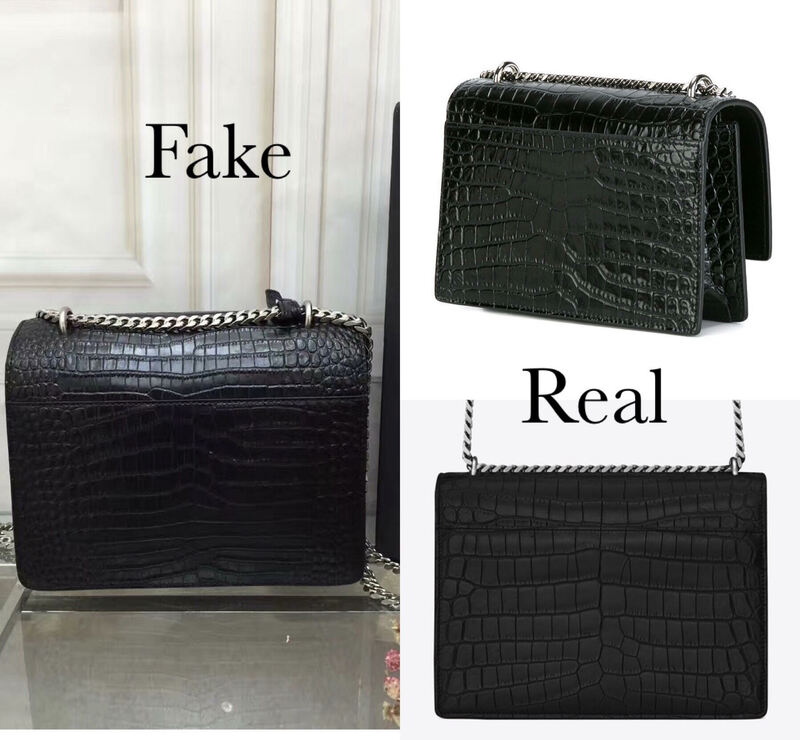 In the pictures, you may find out the differences between the real and the fake one. The bag opens to a soft, suede-lined interior. The soft material might be luxurious to the touch. 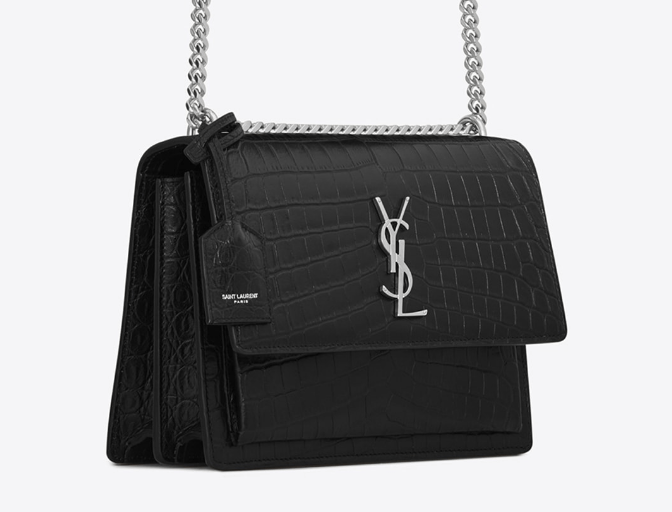 YSL label on the inside of the bag is never smudged and always evenly aligned. 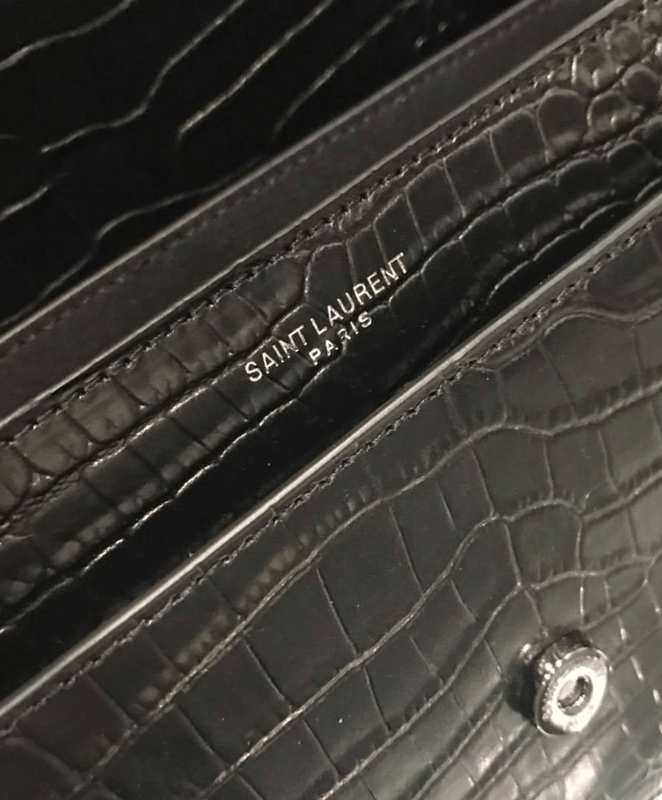 The word “Saint Laurent Paris” is always spelled in full. Check for correct spelling, too. 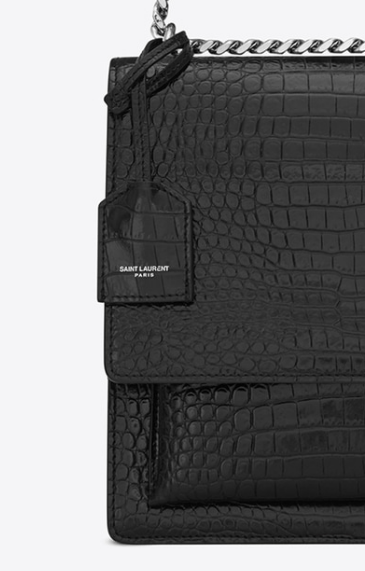 Authentic Saint Laurent bag has an interior slot pocket. 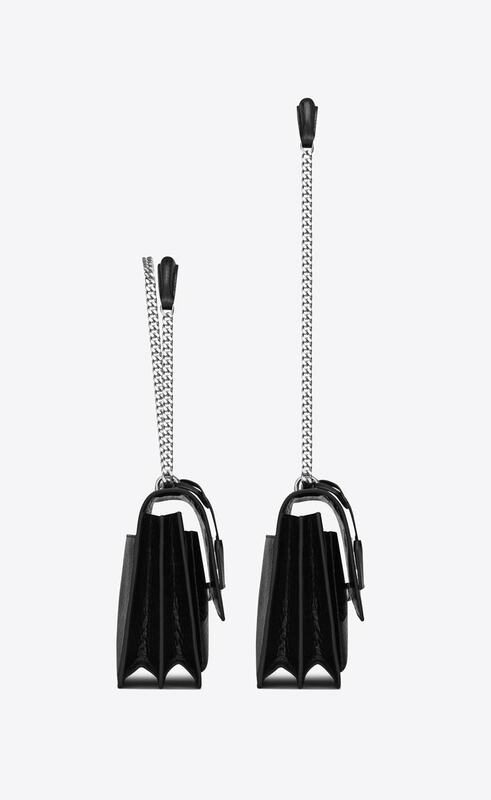 The genuine bag has a very qualitative shoulder strap. 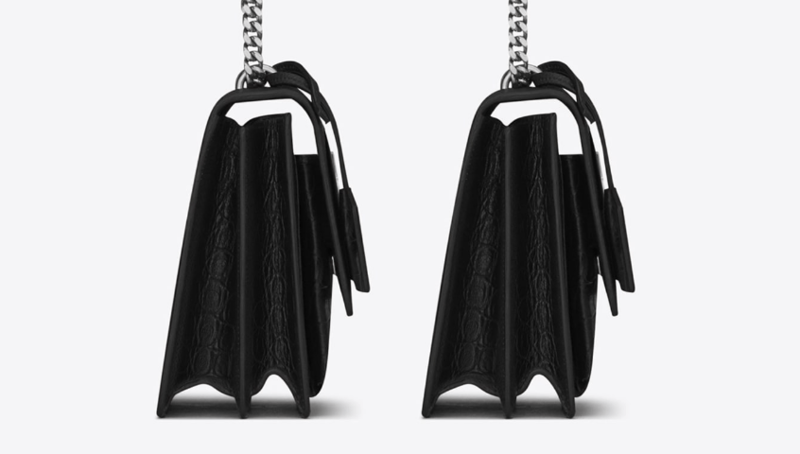 The chain straps can be doubled on the shoulder, while the leather straps are completely detachable, turning it into a clutch that you can bring out when the sun sets. The bag has accordion sides. The real bag is composed of real leather material. Smooth, qualitative, no crease whatsoever. 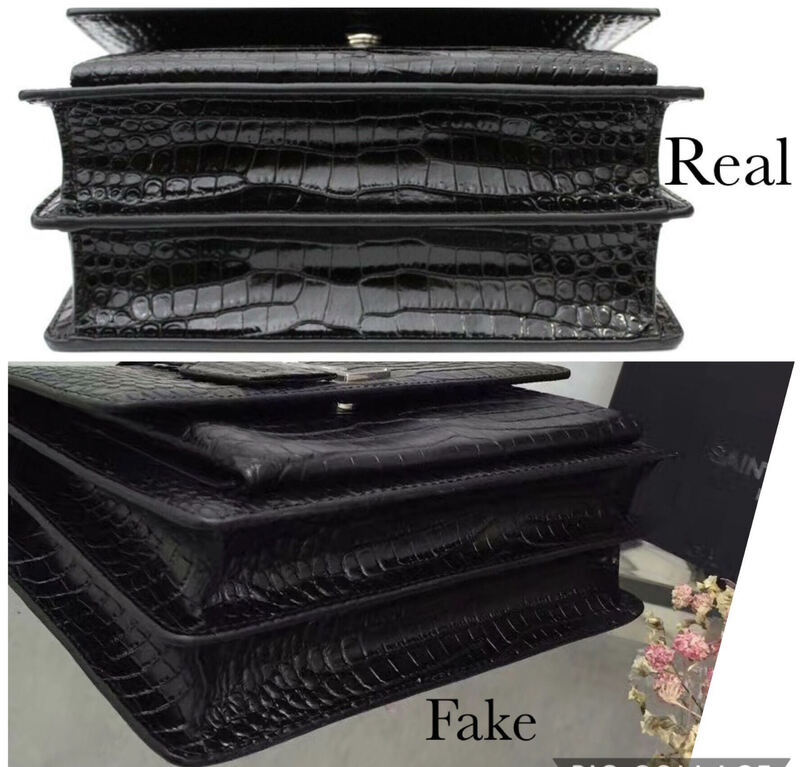 Look at the pictures, you can easily spot the creases on the fake one and the low quality. The authentic bag has robust and regular stitching. There should never be any double stitching in the middle of a row or in an unexpected place. 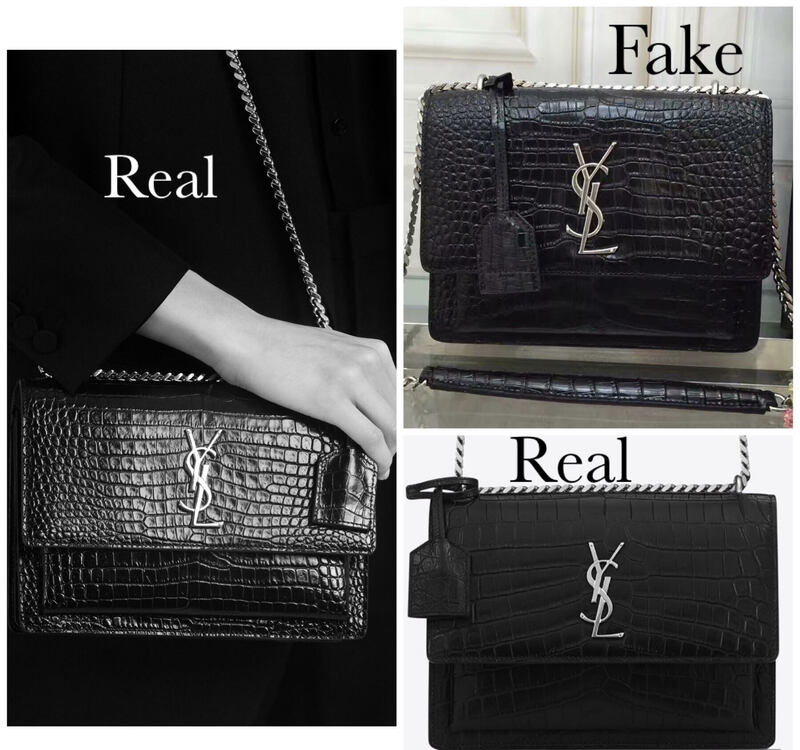 Stitching irregularities or double stitching are signs of a fake Saint Laurent Bag.